The easiest way to avoid being called racist is to only hang out with Ashkenazis. But I hate this, and need to admit that I treat Mizrahis differently. Now all that is left is to start making a change. When my friend and poet Shlomi Hatuka asked me to write something about Ashkenazis and Mizrahis, I became a bit worried. How will I write without people seeing my own racism? The surest way to not demonstrate one’s racism is by avoiding. If I do not find myself around Mizrahis, black people or Arabs then I won’t be racist. I know this strategy well. When I came out of the closet as a lesbian, many of my closest friends became distant. It was easy for me to believe that they acted that way because they couldn’t stand the fact that I am a lesbian, but I believe that what they really couldn’t stand were their own feelings. They, of course, do not see themselves as homophobes. So where do such strong feelings come from? And what will happen should someone recognize them for what they are? So they took a few steps back – anything so that they don’t have to deal with that terrible feeling. But when they went away, I was left alone. I don’t want to do the same thing to Mizrahis. My most immediate connection with what is happening today with the Mizrahis of Ars Poetica (a monthly poetry and music event, which features many up-and-coming Mizrahi poets) is that instead of erasing themselves, they are standing out. Instead of accepting integration they are speaking out. Just like I do not accept the idea of being the quiet lesbian who just wants to live a quiet life, and instead insists on kissing in public, making noise and not tolerating homophobia. That question of “why are you raising such a stink?” comes up again and again for me as well as for Mizrahis. They tell us that we are all the same – straight, gay, Mizrahi, Ashkenazi. Only you are making distinctions, they say, not us. But when you are part of the dominant group, it is easier to say “we are all the same,” because you don’t have to move an inch when making such a claim. When you tell me that we are all the same, you actually mean to say that no one will even know I am a lesbian if I grow my hair. Why do you insist on being different? Why do you need this strange haircut? Why can’t you just wear a skirt? It’s exactly like telling a Mizrahi person: What’s the deal with your music, and why are you wearing that necklace? I’d like to say a few things about my own racism. I want to make clear that I hate this aspect of myself. I hate it so much and try hard to rid myself of it – but it sticks like gum on the bottom of my shoe and refuses to disappear. Meanwhile, while trying my best to get rid of my own racism, I am blind to how racist I actually am. I noticed that when I pass a dark-skinned person on the street, I will make less room for him or her to pass. It seems like nothing, but it is so deeply ingrained in me, because it means that I pay less attention to that person’s existence. Their existence is less felt to me than that of someone who is white. I often find myself interrupting Mizrahis mid-sentence. Sometimes I won’t let the person speaking finish their sentence – other times I’ll start speaking to someone and won’t notice that she’s in the middle of a conversation with another person. Or that second when you are astounded that a Mizrahi says something intelligent (I’m sorry, I’m sorry, I’m sorry). That feeling is so powerful that it does not matter how many intellectual Mizrahis I know personally. Unfortunately, there are probably many more examples. What is even more unfortunate is that that getting beyond these behavioral patterns will probably lead me to discover others. But what can I do? This is the only way. I want to write something to the Ashkenazis who fill the internet with their vile words of hate and arrogance. Our job is not so complicated. We are not asked to understand, accept or give our well-informed opinion. Our job is to shut up. Yes, it is nice if we show our support, but this is not the main issue. Instead of Mizrahis doing what they need to do in order to change their situation, they are wasting their time trying to fend off verbal attacks by Ashkenazis. It’s time for that to come to an end. This entry was posted on 11/09/2014, 9:34 and is filed under Uncategorized. You can follow any responses to this entry through RSS 2.0. You can skip to the end and leave a response. Pinging is currently not allowed. This ” racism” is the “chosenness” that is the foundation of Judaism. You can’t separate the two, anymore than you can separate wet from water. Some people, though, freeze the water, and play this game, saying, See, ice isn’t wet. But you have to melt the ice to absorb it–once lived out, JUDAISM is, fundamentally, rascist, narcissistic and ego-inflating. More and more people are coming to the same conclusion and seeing the light. Ashkenazis are so racist that between 1948 and 1960 they sterilized up to 100,000 Mizrahi Jewish children by strapping them into special chairs and blasting them with high-intensity X-rays. 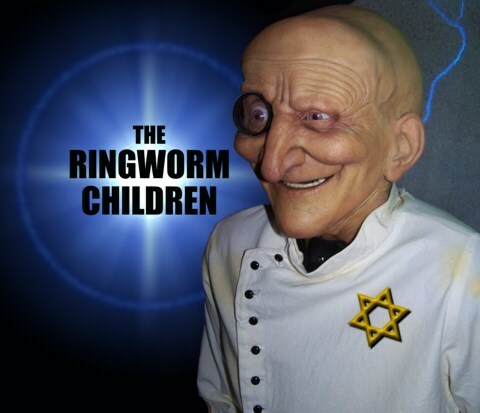 The Ashkenazis claimed that they were treating the kids for “ringworm.” In this way they succeeded in killing 6,000 Mizrahi children, who died shortly after they were attacked, and caused thousands of others to develop cancer. Documentaries about this are available on YouTube. Meanwhile the Ashkenazis fabricated countless >>LIES<< about Nazi doctors performing bizarre medical experiments on Ashkenazi Jews. By the way, no one can fully understand Israeli politics unless he takes into account the constant power battles between Ashkenazis and other kinds of Jews (e.g. Mizrahi, Sephardic, Indian, Iranian, Ethiopian, Kaifeng, etc). The Ashkenais are always working to keep themselves supreme. Worldwide, they are the most evil Jews of all. Judaism is a “Satanic cult” mascaraed as a Religion. They are absurd in every way, they hate, they consider others as dogs, not telling what they say about Jesus Christ and his holy mother Mary.